Opened in 1855 rebuilt 1871 and 1969. Supported by Royal Borough of Greenwich. NEW Studio space now open! The history of Greenwich Theatre is firmly anchored in the traditions of English live entertainment beginning just over 150 years ago when John Green established the Rose and Crown Music Hall on our modern day Crooms Hill site. In 1871 new owner Charles Crowder refurbished the venue and re-opened it as Crowders Music Hall. Despite prosecution the following year for the unlawful performance of stage plays', resulting in a fine of one shilling, Crowder continued to offer a rich mixture of burlesque, concert and ballet acts every evening. The following years saw more rapid change, with the Theatre becoming known as the Temple of Varieties, then the Royal Borough of Varieties, before being rebuilt to the designs of John George Buckle and dubbed the Parthenon Theatre of Varieties. Buckle's Nevada Street façade can still be seen today, now located at the side of the Theatre. In about 1902 Samuel and Daniel Barnard took over, relocating the entrance to Crooms Hill, and following further management changes the Theatre became the Greenwich Hippodrome Picture Palace showing a mixed bill of film and live performance. When the Theatre lost its license for live performance in 1924 it restricted its operation to screening films, but the next major change came during the Second World War when an incendiary bomb crashed through the roof into the auditorium. From this point the Theatre was closed and remained empty. Greenwich Council bought the site for demolition in 1962, but agreed to support the idea of a new theatre if there was enough local enthusiasm to justify it. Ewan Hooper, a local actor and director, accepted the challenge of rallying support. Local councils, the Arts Council and the GLC were all generous in their contributions, but it is notable that half the cost of the new theatre came from local individuals and businesses. On 21st October 1969 the theatre re-opened with Martin Luther King, a new piece of musical theatre written by Ewan Hooper. Over the next 28 years, Greenwich Theatre produced a body of work of astonishing quality and variety under the artistic directorship first of Ewan Hooper and subsequently of Alan Strachan, Sue Dunderdale and Matthew Francis. 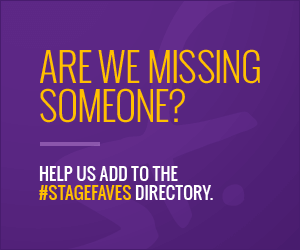 The first few years saw Mia Farrow and Charles Dance in Chekhov's Three Sisters, Glenda Jackson, Susannah York and Vivien Marchant in Genet's The Maids, the premiere of John Mortimer's A Voyage Round My Father and a star studded season directed by Jonathan Miller. Developing a long standing association with the Theatre, Max Wall memorably starred in Samuel Beckett'sKrapp's Last Tape, Shakespeare's Twelfth Night and Harold Pinter's The Caretaker. By 1997 the Theatre had seen several West End transfers including Alan Ayckbourn's Intimate Exchanges, Noel Coward's Private Lives, Michael Frayn's Three Sisters and John Webster's The Duchess of Malfi. 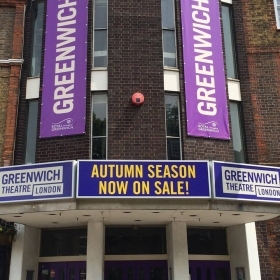 After a period of closure in the late 90s, Greenwich Theatre reopened in 1999 under new director Hilary Strong. Autumn 2002 marked the Theatre's return to producing, when Clive Rowe starred in Paul Ryan and Peter Readman's new musical Sadly Solo Joe. The show was one of 12 new musicals showcased in Musical Futures 2002, and after its run here the production transferred to the International Festival of Musical Theatre in Cardiff. In summer 2003, to great acclaim, we revivedGolden Boy, an American musical not seen in London since Sammy Davis Jnr played the starring role at the London Palladium in 1969, and in 2005 we presented the world premiere of Arnold Wesker's Longitude. In 2007 James Haddrell became director of the theatre, reimagining the theatre as you see it today. 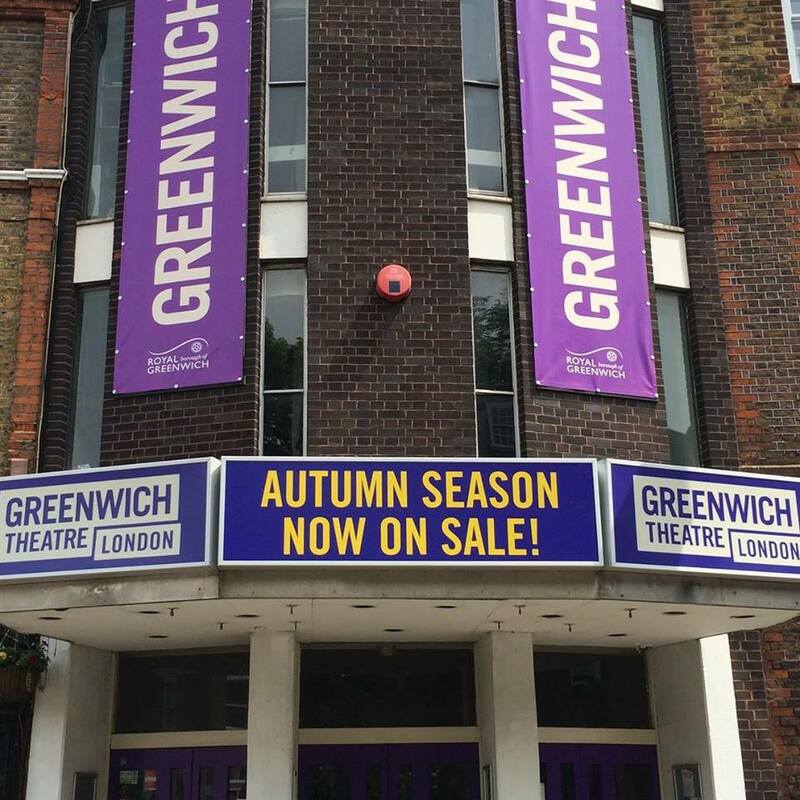 The theatre now presents the annual Greenwich Children's Theatre Festival every April, co-produces the annual Greenwich World Cultural Festivalwith Greenwich Dance, and produces a free outdoor summer show (awarded the London 2012 Inspire Mark in 2008). The theatre's work with young and emerging artists has grown rapidly and the company now runs a hugely oversubscribed artist development programme, supporting young or new companies as they grow and evolve and presenting an annual Emerging Artists season every May. The company's in-house producing has also increased dramatically. A partnership with new film company Stage on Screen has led to the production of four classic dramas since 2009 - Doctor Faustus, The School For Scandal, The Duchess of Malfiand Volpone - all of which are now selling internationally on DVD. In 2010 the theatre made its producing debut at the New End Theatre in Hampstead with Pakita: Stimulating, Bitter and Necessary, co-produced with Little Soldier Productions. Since then we have toured work to The London Particular (New Cross), Stratford Circus, Chelsea Theatre and Jackson's Lane (Highgate), and toured co-productions around the country with Scamp Theatre and Finger In The Pie. We have forthcoming productions scheduled for Underbelly at the Edinburgh Festival Fringe, Teachers' Club at the Dublin International Gay Theatre Festival, and Courtyard Theatre as part of the Out In The Sticks Festival in Hereford. It may be somewhat of a cult show, but LIZZIE, the all-female, heavy rock musical based on the life of Lizzie Borden and (possible) murders she committed, is a firm favourite in SatageFaves HQ. 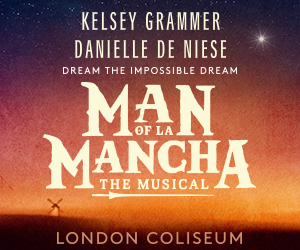 Get Social: Celebrate #InternationalWomensDay by seeing these fabulous female #StageFaves live! Podcast: What do the cast of Lizzie think of feminism & gothic rock?